Cambridgeshire County Councillor Ian Bates has won a national Technology & Digital Award for his work championing digital connectivity across the county. Cllr Bates is Chair of the County’s Economy and Environment Committee, which oversees the successful Connecting Cambridgeshire digital connectivity programme. He represents Hilton, the Hemingfords, Fenstanton and Houghton & Wyton. 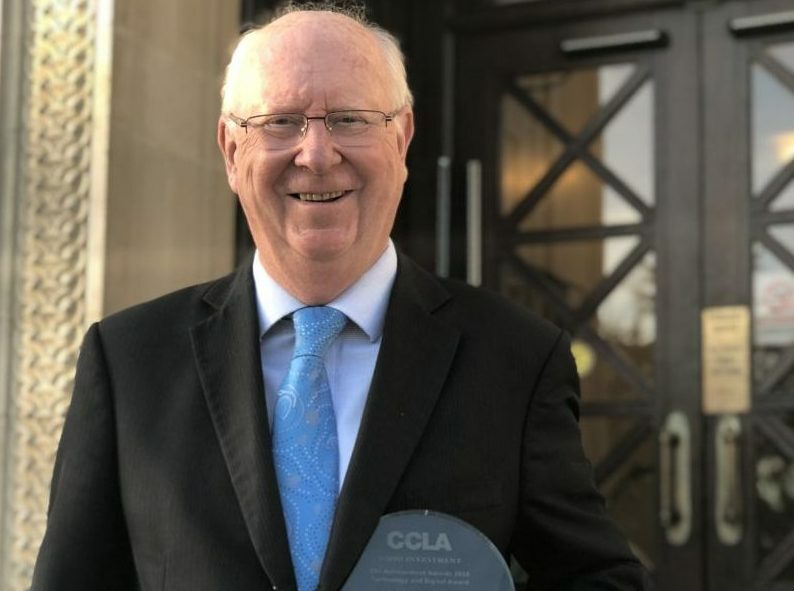 The LGiU and CCLA Councillor Achievement Award recognises Cllr Bates’ support for the transformational effect of digital connectivity for rural communities, business growth, and smart energy. Ian impressed the judges with his recognition of the importance of getting the foundations right in terms of digital inclusivity, overseeing large-scale projects to improve public WiFi access and 5G coverage, especially in rural parts of Cambridgeshire. Thanks to his advocacy Cambridgeshire is now over 96% covered by superfast broadband. Judges also commended his business-like approach persuading the council to invest £10m in a solar farm which has already returned significant amounts to support frontline services.